OAKLAND — Downtown Oakland will get its first new hotel in more than a decade with a project planned for the East Bay city’s bustling Uptown district, developers said Wednesday. 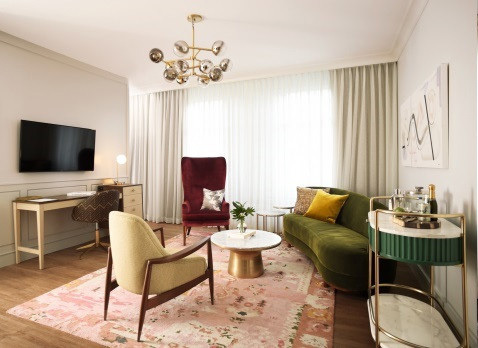 The hotel would mark the entry into the Bay Area of West Elm Hospitality, a unit of retailer West Elm, which is a Brooklyn-based subsidiary of retailer Williams Sonoma. “The New York City hotels of West Elm are very much boutique-style hotels, all four stars, and they should do really well in Oakland,” said Dharmesh Patel, executive managing director of the hotels unit of Colliers International, a commercial realty brokerage. West Elm intends to open a 150-room hotel as part of an expansion of the developments and businesses in The Hive complex in Oakland’s Uptown neighborhood. The hotel will be built at 2401 Broadway near 24th Street and is expected to open by 2020. A venture of Signature Development Group and Jordan Real Estate Investments is developing the hotel. “We have been a part of the transformation of this neighborhood from underutilized lots to what is now a bustling scene of activity, with local entrepreneurs, artists and chefs, creating a thriving environment,” said Michael Ghielmetti, president of Signature Development. West Elm Hospitality operates hotels in Detroit; Minneapolis; Savannah, Georgia; Charlotte, North Carolina; and Indianapolis. The hotel will be built in part of the old auto row of downtown Oakland. The hotel, its rooms and decor will reflect the influence of the old auto industry, the developers said. A number of car dealerships operated in the vicinity for decades, and the area also once housed Chrysler’s first West Coast vehicle assembly plant. Among those: Blue Shield, which in March disclosed it would move its headquarters and 1,200 workers from San Francisco to downtown Oakland. No new hotels have opened in downtown Oakland since the Courtyard by Marriott opened in 2002.